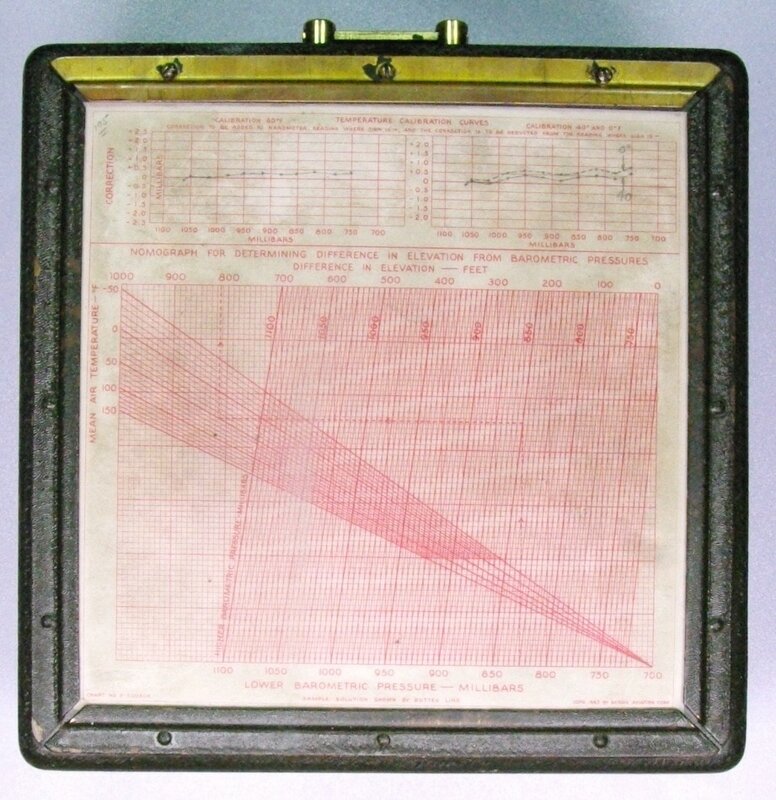 This 1942 Bendix ML-102E barometer was used by the US Army Signal Corps in WWII. It has a 5.5 inch dial and on the back it has temperature calibration curves and a chart for use as an altimeter. It measures barometric pressure in the range of 745 mb to 1085 mb, or 22 inHg to 31.5 inHg. Pressures below 25 inHg are not indicated on the dial. For these pressures, the value is obtained by subtracting 6 inHg from the indicated value.